GMM is an online iTV network of Evangelical Christian content that provides discipleship tools, ministry training resources, leadership development and missional engagement anywhere, anytime and on any connected device to a global audience. The goal of GMMiTV is getting churches and ministries to start using digital engagement to broaden their audience and impact. 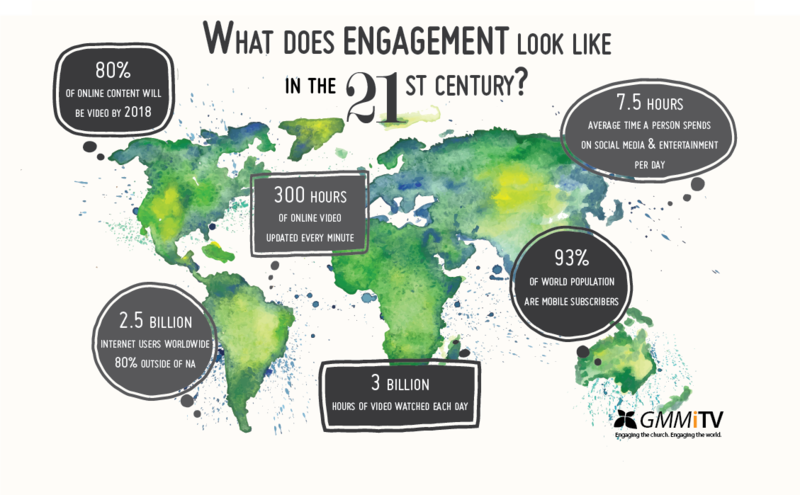 Digital engagement involves much more than just video. GMMiTV is only part of a digital engagement plan. Our biggest question is: How do you keep your congregation engaged throughout the week, not just on Sundays? Once you have digital material available for your congregation or ministry, you also have the ability to connect a whole online community that could be national or international. Stages of a Digital Church – Where does your church or ministry fit?